The readers of Grand Junction Colorado’s- The Daily Sentinel, chose Gary Lee Price’s sculpture Puffed Up Prince as one of the top three Best Downtown Sculptures. This contest was aimed at rallying the community to recognize and celebrate artists and businesses. 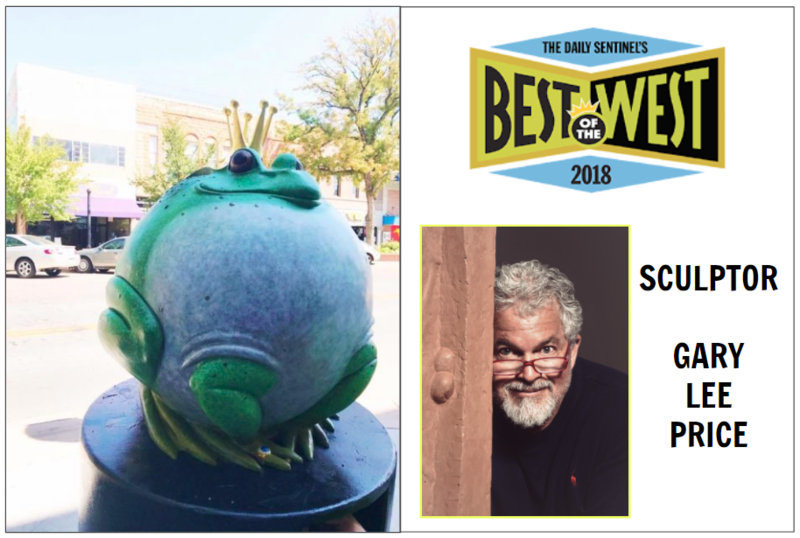 With over 66,000 individual votes cast, Gary’s whimsical bronze frog that boasts a regal crown, has enchanted the masses with his Puffed Up presence. It is a great honor to be chosen as one of the Best of the West of 2018!